As you may recall my computer kinda crushed on me last year. I’ve been looking for a backup solution ever since (in the meantime, there is not a single component in my computer that was not replaced, excluding the motherboard). I found that the CloudPlug answers most of my needs, and decided to review it here on DIYP. If you’re just here for the coupon, jump to the end. If you want to share your backup strategy, let us know on the comments. CloudPlug is a neat little box that allows you to “double backup” your files. The first backup is similar to the one I was already using – an external hardrive that is connected to the CloudPlug box (in fact, I am using the same hard drive, but the USB now goes to the CloudPlug and not to my computer). The second backup uploads all or some of your files to a cloud storage device. Where is this cloud located? On the ‘net of course. This means that even if your house goes on fire, there will still be a digital copy of your files that you can recover. The box is small and so is the CloudPlug. Just a little bigger than an average fist. It takes very little space on the shelf. The box also included a network cable, a power cable and a small booklet. The first thing I noted is that the network cable is white. Now, I’ve been an IT guy for 5 years back in the days, and I’ve never seen a white one before. It is only now that I really get the profound impact the iPhone have on our lives. Installing the box was a breeze – Power cable to power socket, network cable to network socket and USB cable to my external hard drive (a 1 Tera My Book in my case). There are several steps you have to follow to configure the box. First you have to sign up with Ctera. The sign up screen is fairly short, and followed by a standard activation mail. In parallel you do a similar activation with the CloudPlug box (which magically appears on your network locations). Now configuring the actual backups was kind of tricky. It took me a while to understand that there are two types of backups in Ctera’s terminology – syncs and backups. A sync copies files from your computer’s hard drive to the external harddrive. A backup copies files from the external hard drive to the Ctera “backup cloud”. Once I got that, I defined a sync job to copy all my images to the external harddrive, and defined a backup to “beam” some of my files to the cloud (More on that in a second). All and all, once I got past the terminology of “sync tasks” and “backups” configuring the box went fairly fast. I have to say, I like the GUI (Graphical User Interface) on the CloudPlug. Firstly, there is no application that you have to run on your computer to schedule backups, and make setting changes. The Plug act just like another site on the network. Secondly, the look-and-feel of the Cloud app and of the Ctera portal is very similar. So the feel is that you are getting the same service no matter if you are accessing the files locally or remotely. One small caveat there is that after each action you get a small window that indicated that the action is in progress. This window has a small progress bar. When the bar fills it just restarts. Weird. As a photographer it is not uncommon to come home after a session with about 8-16 gigs of RAW files. Even after editing I am sometimes left with Gigs of data. The feeling that I got is that neither the “Cloud” nor my internet connection can handle this amount of data. I suggest going for a two tier backup strategy. Here is how I chose to handle it: I “sync” everything to the external drive. External storage is sooooo cheap today (about 1 Dollar per 10 Gigs) that I don’t really care to copy it all (in fact, In addition to backing up my photographs collection, I am backing up all the files on my computer). If you really have lots of data, you can put a USB hub behind the Plug and use as many disks as you want. You can also mix and match USB and SATA harddrives and the plug will recognize them all. As for Online backup to the Cloud, after everything is in sync, I only “backup” important files to the cloud. Today, I do it by manually copying my important files to a special directory. I discussed this with Aron Brand, Ctera’s CTO, and we agreed that a Light Room plug-in that only backup my “selected image” is not a bad idea at all. A nice thing about the Plug is that it allows you to use any external hard drive as a Network Attached Storage device. After you configure your Plug to use a disk you can define it as a network share on your home network. This enables you to place any USB or eSATA harddrive in the closet ,near your cable/ADSL modem and save that precious shelf space. Restoring files (or folders) was so much easier than I feared. You select a date and a folder from Ctera’s online file manager, click restore, and walla! The files are back in the external drive. After that you need to copy them to your local computer if you so wish. The CloudPlug costs 199 USD right now (scroll to the end for special DIYP offer). This price includes the actual box, and a one year subscription to the online backup service. After that, pricing may be a bit too high for the average photographer. I figure that the average photographer will need between 25 and 50 Gigs for online backup. Pricing is 19.95$ and 29.95 respectively. Is the CloudPlug worth the extra fee comparing to Mozy’s pro plan (3.95 + 0.5 USD peg Gig)? You’ll have to decide. I think that the CloudPlug is a great option for photographers, at least as far as backing-up data goes. Pricing? A bit too high if you are backing up lots and lots of files. Important files are stored in three places: computer, external drive and Cloud, making your data very safe. External harddrive capacity is virtually limitless as you can add more and more drives. Network Attached Storage included so you can access your files from anywhere in your home network. Monthly pricing makes it best for small amount of files. 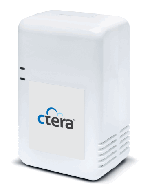 DIYP users get a 25$ off when purchasing the CloudPlug via the Ctera online store. Just tell ’em you want to exchange an egg. Kidding. Type DIY-PHOTO-25 when checking out at Ctera’s online store. This offer will be valid ’till November 30th. take about a year to backup my stuff to the “cloud” here. time cost and the data is under your control.